← Baltimore Screening Pass-palooza: The Jungle Book (2016)! Stills from “Valerian and the City of a Thousand Planets” show DeHaan and Delevingne fighting…Cylons? Valerian and the City of a Thousand Planets (Valérian et la Cité des mille planètes in French) is an upcoming English-language French science fiction film written and directed by Luc Besson. 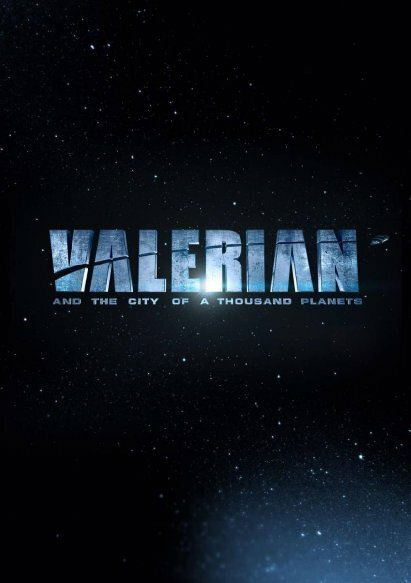 The film is based on the French science fiction comics series Valérian and Laureline, written by Pierre Christin and illustrated by Jean-Claude Mézières. It stars Dane DeHaan as Valérian and Cara Delevingne as Laureline. The film is scheduled for release on July 21, 2017. Set in the 28th century, the film’s central plot involves two spatio-temporal agents who travel the universe through space and time to protect the interests of the human species. They perform all kinds of tasks: space rescues, interplanetary exploration, diplomacy and galactic aliens negotiations. But one particular rule must be respected: never change the course of events. Looks like Delevingne is getting into some really groovy genre stuff, with Pan last year, Suicide Squad hitting theaters soon, and this film coming next year. Of course, DeHaan has his on genre credits, especially Chronicle and The Amazing Spider-Man 2. Valerian also stars John Goodman, Ethan Hawke, Clive Owen, Herbie Hancock, Rhianna and Rutger Hauer. I’m kinda digging the all-over-the-place casting. With Besson, that’s sure to be a cool ride. I hope. Hey, I just want something as cool as Besson’s The Fifth Element. I’m sure I won’t get it (that film was lightning in bottle y’all) but until Valerian hits, it’s all hope and finger-crossing. So peep these first stills from the film, and lemme know what you think! This entry was posted in Movie News and tagged Luc Besson, Movie News. Bookmark the permalink. 2 Responses to Stills from “Valerian and the City of a Thousand Planets” show DeHaan and Delevingne fighting…Cylons?